The Airport Security Force (ASF) has converted an old aircraft, previously owned by Pakistan International Airlines (PIA) into a restaurant, ProPakistani reported Wednesday. According to the news site, PIA retired the Jumbo Jet, a 747-300 AP-BFV, in 2014, following which the aircraft was transferred to a hanger in Karachi's Jinnah International Airport and later "donated" to ASF for use in anti-terrorism training purposes. 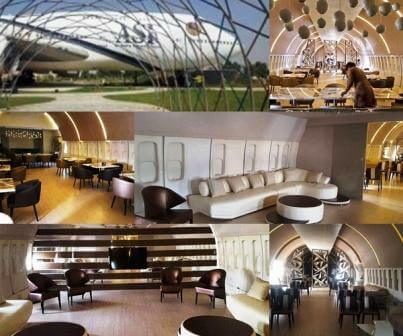 The plane has now been refurbished into a restaurant reportedly by ASF. No further details could be confirmed at the time this report was filed. Following are some pictures of the interiors of the restaurant that are being shared on social media.